Founded in 1976, Texon Athletic Towel and Supply is well known around the United States for its excellent customer service and great athletic towel, laundry and locker room supply prices. 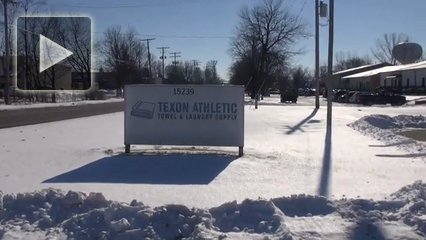 For over 40 years, Texon Athletic Towel has provided linens for high schools, colleges, professional athletics, government and municipalities. Texon Athletic Towel is a direct importer and distributor of institutional linens that include: bath towels, hand towels, bath sheets, wash cloths, athletic and gym towels, salon towels, hotel and motel towels, microfiber towels, color towels, bar mops, salon towels, spa towels, color hand towels, and golf towels. We also stock linens for hospitality, healthcare, and laundries. As a small family owned business who has experienced exponential growth, Texon Towel prides itself in the lasting relationships that have been made over the years, with their customers and friends. Our corporate office and large warehouse is located 15 miles north of Indianapolis, Indiana and in Noblesville, Indiana. We also have stocking shipping locations in California, Florida, New Jersey, and Chicago. When you choose Texon Towel for your linen requirements, you’ll not only get quality towels at bulk pricing, you’ll also benefit from fast shipping and secure online payment. Plus, because Texon Towel knows that trust matters, they are accredited and highly rated with the local Better Business Bureau. As you experience exceptional service through Texon Towel , please leave feedback on our Facebook, Twitter or LinkedIn. Social links are found on the website. In the event you might need to call Texon Towel , you will not press an option only to get dropped into voicemail. They enjoy speaking with customers and you will usually always hear the voice of our friendly associates on the first attempt. As America’s premier source for institutional towels, Texon Towel is dedicated to supplying you the best products at the lowest price combined with the fastest, friendliest, customer focused staff in the business–guaranteed. As a college coach, I have a ton of duties. Winning games and recruiting are a huge part of my job. Worrying about laundry and towels are never a concern with Texon. I’ll never go anywhere else. A one-stop shop for what our team needs. I would highly recommend them to anyone! Texon Athletic Towel Team, Wow….You guys hit it out of the park with the towels for the training room. The referral I was given was indeed right on. Thanks for your quick shipping and awesome towels! Look forward to working together again soon.